"Will the money come, or will we shut operations by end of the day?" -- the question hangs heavy in the air at Siroya Centre, the Mumbai-based headquarters of Jet Airways. After a day of drama on April 16, which began with a board meet and after which CEO Vinay Dube wrote to banks asking for Rs 400 crore, there is still no sight of the funds. 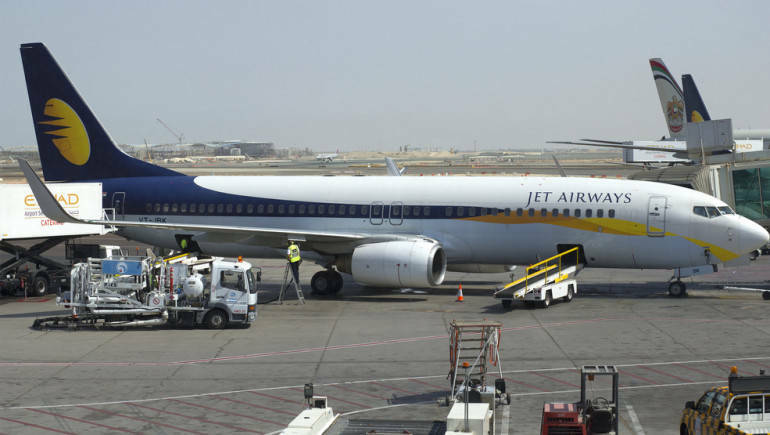 This, despite officials at the Ministry of Finance saying that banks are working on a package for Jet Airways and funds would be made available. "The company, under guidance of the Board, has reached out to our lead lender, State Bank of India, yet again and stressed on the need for urgent funding requirements, critical to the continuation of the operations of our airline," Dube had told employees in a statement. The lenders, led by SBI, were originally expected to transfer Rs 1,500 crore, which was later brought pared to Rs 1,000 crore. But now, even Rs 400 crore is hard to come by. Not all banks are ready to part with any more money for a carrier that owes them more than Rs 8,000 crore. "It is almost done and dusted here. We are ready to go home," a Jet Airways employee told Moneycontrol. The airline was operating five aircraft on April 17, and may continue with the same till oil marketing companies stop fuel supply. "If the money doesn't come through, OMCs may stop the supply by 3 pm today," said an executive. That April 17 is a bank holiday, on account of Mahavir Jayanti, complicates things. "Will banks transfer money on a bank holiday?" is a question none seems to have a clear answer to at Siroya. Meanwhile, SBI Caps, which is overseeing the bidding, has shortlisted four suitors -- Etihad Airways, TPG Capital, Indigo Partners and sovereign fund National Investment and Infrastructure Fund. That founder and former Chairman Naresh Goyal has finally seems to have left the building hasn't brought any relief. Read: Jet Airways stake sale: Who are the bidders? Banks, say sources, want to see 'seriousness of the bids' and are willing to wait before they part with more money for Jet Airways.